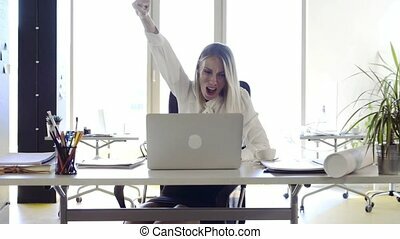 Portrait of female boss working in the office. 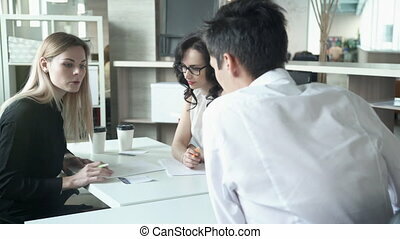 Concept of: business people, office interior, laptop on desk, managing director. 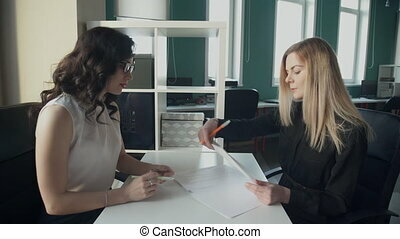 In the office, two women at the desk exchange important documents. 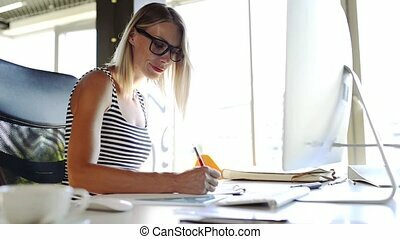 Blonde signs the contract handle and stretches of beautiful brunette with long curly hair and glasses who looks and takes a contract for review. Lady explained further steps for cooperation. The applicant takes the pile of documents and office people shake hands. In the background is a shelf with boxes and office supplies. Daylight penetrates five high and narrow windows in a room. Businesswoman takes a notes on the sheets of diagram on the desk in the office. Worker holds pen in hand. 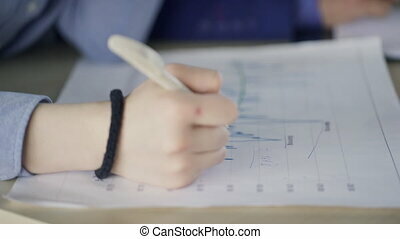 Manager makes calculation and writes received value on the paper with charts. 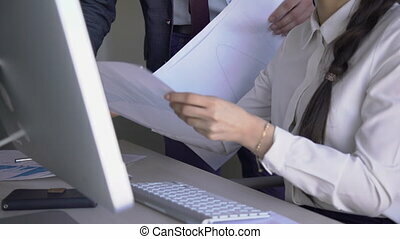 Then she corrects plan and strategy drawing new line on the scheme of project. 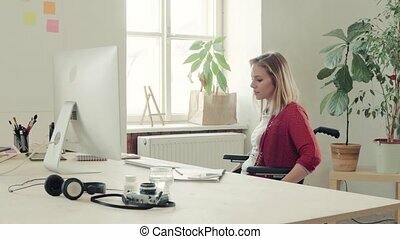 Woman sits at the table. Other person works near her on the background. It is teamwork.